We live in a world of high stress. High demands. Crisis. This chronic (ongoing) stress is extremely unhealthy and physically taxing on our bodies, causing problems with sexual desire, reproduction, and other intestinal, respiratory, cardiovascular issues. Learning how to comfort and self-soothe is one of the most beneficial things a person can do, as it helps us relax, rather than stay on “high alert” during a stressful time. Self-soothing is something that is learned at a young age and we are wired to use in times of great stress or trauma. We use it as a way of calming ourselves during emotional or stressful times. Self soothing is particularly important if you consider yourself to be more emotionally sensitive or need help managing big or powerful emotions. Check out more information on specifically how self-soothing works in the brain. There are many exercises that help soothe or comfort in time of need but what is most important is that you find what brings you the most comfort and integrate it into your life to manage emotional or traumatic times. 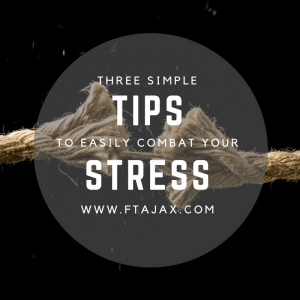 Below are three ways to self soothe that you can incorporate into your own personal self care and combat stress. Try to involve all or as many senses as possible to bring comfort, joy and/or peace. Vision: Walk in a pretty part of town. Look at the nature around you. Go to a museum with beautiful art. Buy a flower and put it where you can see it. Sit in a garden. Watch the snowflakes decorate the trees during a snowfall. Light a candle and watch the flame. Hearing: Listen to beautiful or soothing music, or to tapes of the ocean or other sounds of nature. Listen to a baby gurgling or a small animal. Sit by a waterfall. When you are listening, be mindful, letting the sounds come and go. Smell: Smell breakfast being cooked at home or in a restaurant. Notice all the different smells around you. Walk in a garden or in the woods, maybe just after a rain, and breathe in the smells of nature. Light a scented candle or incense. Bake some bread or a cake, and take in all the smells. Touch: Take a bubble bath. Pet your dog or cat or cuddle a baby. Wrap up in a soft blanket. Sink into a really comfortable bed. Begin to notice which type of activity works for you during a specific type of emotional stress. For example, when you are feeling anger it may work best for you to engage in some type of physical exercise. Or, if you are feeling hopeless, you may find it comforting to help someone less fortunate than yourself by volunteering. The goal is to identify what kind of activities help you to feel better, no matter the emotional reaction you are experiencing. Do self-soothing activities during times of lower stress so that you can pull from these activities with little to no thought during times of higher emotional involvement. Plus, it helps you have more positive emotional experiences which help your overall ability to regulate your emotions. These activities can be a part of your regular self-care routine. If you find it difficult to regulate your emotions even with doing self-soothing activities, reach out for help. One of our trained therapists can help you learn to better manage your emotions. Check out our related article, Six Ways to Use Emotions to Improve Your Life.